Since the wildly popular iPad debuted in April 2010, slender touch-friendly tablets have increasingly become part of our work and personal lives. Twenty-two percent of all U.S. adults now own tablets, according to a report from the Pew Research Center. New tablets will continue to evolve before our eyes, but the "tablet" has been in development since the 1960s and available to consumers and businesses in some fashion since the '80s. However, the technology was never quite right for widespread use … until now. The Dynabook , created in 1968 by computer scientist Alan Kay, was a prototype and never an actual product, but it was the blueprint for the modern laptop and tablet PC. The Dynabook was about two pounds, with an integrated physical or touchscreen keyboard and all early elements of a GUI. The target audience was children, who could use the device to connect to remote servers to access text and graphics for schoolwork. The Dynabook was never built because the technologies needed did not exist. But it was a major inspiration for the PCs, graphics and multimedia that would follow. Back in the late '70s the iPad was starry-eyed science fiction. 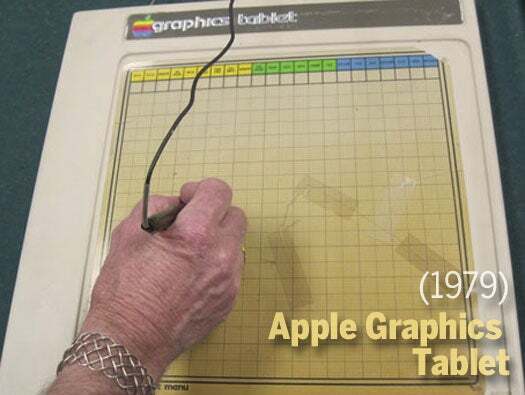 But Apple had some ideas and commissioned a device called the Apple Graphics Tablet. It wasn't a tablet in the modern sense because it had no mobility. It was an accessory that connected to an Apple II computer so a user could draw images on the tablets with a wired stylus pen that would appear on the Apple II screen. Priced at $650 the Apple Graphics Tablet was a novelty and not a great success. It was soon replaced by a more efficient device for screen navigation: the mouse. 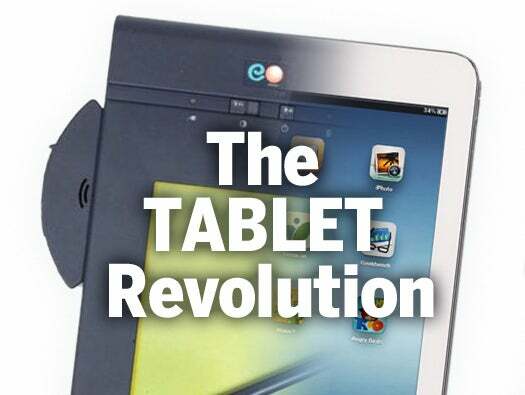 While desktop computing flourished in the 1980s, tablet innovation crawled along. 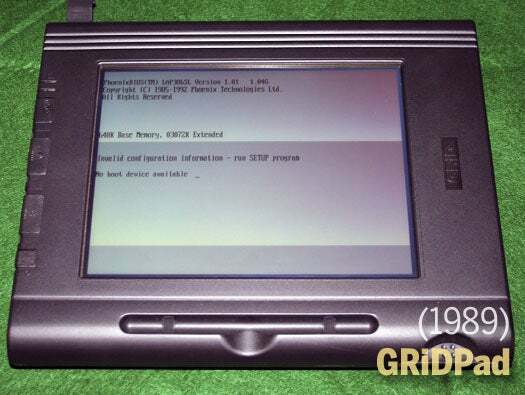 But the GRiDpad, appearing in 1989, was an early breakthrough. It was a rugged MS-DOS computer with a 10-inch stylus-ready screen with advanced handwriting-recognition capability in place of a physical keyboard. The GRiDpad was over-priced at $2,370, putting it in the luxury device category for late-'80s technophiles. But look closely and you will see that it had a big influence on the PalmPilot and Apple Newton that would appear in the '90s. 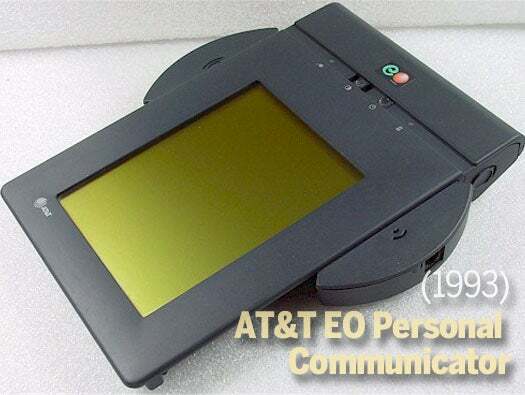 The EO PC was AT&T's venture into the fledgling personal digital assistant (PDA) market. The device was created by GO Corp., which was acquired by AT&T mainly for its PenPoint operating system. The $2,500 pen-based device was jam-packed with ports and features, which may have overwhelmed business customers. It contained I/O ports for a modem, parallel, serial, VGA out and SCSI, and came with a wireless cellular modem, a built-in microphone and a free subscription to AT&T EasyLink Mail for both faxing and e-mail. The EO PC never reached mainstream use and was shut down in July of 1994. 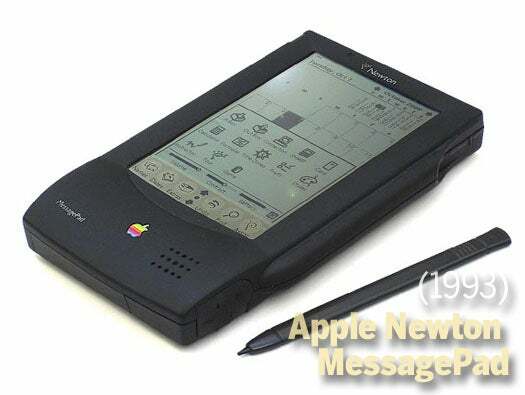 The Apple Newton launched in1993 with great fanfare. It was the device that helped coin the acronym "PDA", and aimed to redefine personal computing. It didn't go so well. Its initial launch was plagued with complaints about price ($700 at launch), weak battery life (four AAA batteries!) and handwriting recognition software that didn't always work. The negative perceptions were hard to shake. Steve Jobs, not around during the Newton's development, was famously not fond of the device. He killed it when he returned in 1997 and applied the Newton lessons to the methodical development of the iPhone and iPad. The Newton faced stiff competition in 1996 with the PalmPilot from Palm, Inc. The PalmPilot 1000 was smaller and cheaper than the Newton and released when early cellphones only made calls. 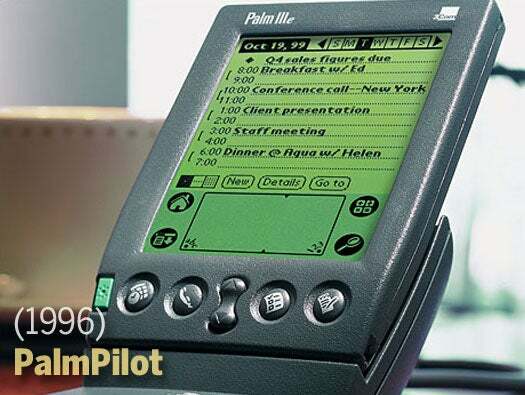 The PalmPilot and its subsequent versions had the PDA competition beat on price ($300), battery life, calendar features, glass touch-screen, the ability to sync with a desktop PC, space for 500 names and addresses, and expandable memory. The PalmPilot enjoyed household name status until all-in-one smartphones like RIM's BlackBerry changed the game in 2003. But the PalmPilot is remembered as the first tablet-like device with major mainstream appeal. Fujitsu released its first and only production tablet in 1998, and is notable as one of the first tablets with a color touchscreen. It was a pen-based tablet that ran Windows 95 and 98. It also bucked the problem of outdoor light reflection by using a transreflective display to reduce glare. Despite these influential features, the manufacturing costs of building the Stylistic 2300 kept the selling price (a mind-blowing $4,485) too high for most businesses and the production of the device stopped not long after its release. Smart Display ( codenamed Mira) was one of Microsoft's bigger flops. It was a wireless monitor available in 10- or 15-inch sizes that had some mobility but ultimately had to be tethered to a Windows PC. 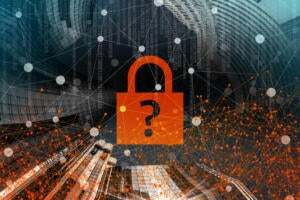 It relied on the slower Wi-Fi networks of the era and had other limitations such as only allowing one Smart Display to connect to a PC at a time and locking the PC it was tethered to while in use. The lack of standalone capability and high price tag ($1000 - $1500) were the Smart Display's undoing. It was discontinued in late 2003. 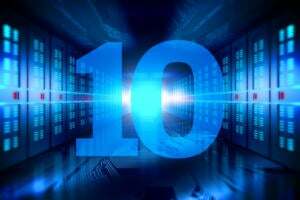 At the turn of the century, Microsoft had been trying to release a Windows tablet for years (it has been trying ever since and will try again with Windows 8). In 2002, it launched the stylus-based Windows XP Tablet PC. Its strength was in its handwriting recognition software, but the tablet tried to jam PC-level RAM, storage and CPU into a tablet. As a result, it was too heavy and expensive and was hampered by poor performance and battery life. Despite the best efforts of hardware-makers like Compaq and ViewSonic, the customers never arrived for the Windows XP Tablet. The Modbook was the iPad's clumsy predecessor that essentially converted a MacBook computer into a tablet device. Because it replicated the MacBook, the power-hungry Modbook had mostly the same technical specs as a 2007 MacBook. The device was not produced by Apple and the customer needed to provide his or her own MacBook for the Modbook to work. Axitron charged $800 for the Modbook, but with the addition of the MacBook, the price was closer to $2,000. Needless to say, it was not the most cost effective arrangement. The Amazon Kindle is a series of e-book readers now in its fifth generation. The Kindle let users shop for, download, browse, and read e-books, newspapers, magazines, blogs, and other digital media via Wi-Fi. The Kindle was not the first e-reader but it was the one that brought the medium to the mainstream and e-reading remains an important feature of all touch tablets. The Kindle also showed Amazon the value of using a mobile device to give users direct access to the company's massive catalog of content. This Hewlett-Packard Windows 7 touch tablet announced by Microsoft CEO Steve Ballmer at CES 2010 generated some looks but never went anywhere. 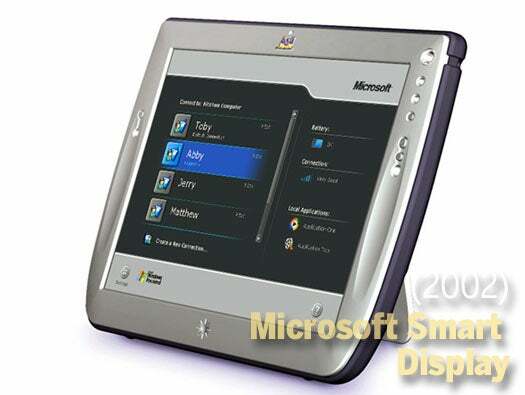 The slates were basically color e-readers with an 8.9-inch display running Windows 7. Apple announced the iPad a few weeks later and everyone, realizing that Windows 7 just wasn't designed for tablets, quickly forgot about the HP Slate. Microsoft looked asleep at the wheel. If anything, the iPad's sudden popularity gave Microsoft the motivation to design Windows 8 from the ground up to work on touch tablets. Finally! Years of failed tablet releases culminated in a touch-screen tablet and media consumption device that was fun and easy to use. Apple got it right with the iPad, and the public pounced. Offering a beautifully designed 9.7-inch device containing thousands of apps, the iPad was reasonably priced (starting at $500) with different storage, Wi-Fi and 3G options. Though some skeptics saw it as merely a bigger iPhone, the iPad quickly became a sensation. Copy cats soon followed. Now in its third-generation, the iPad has added an ultra-sharp Retina display and 4G connectivity. Introduced in Sept. 2010, the Samsung Galaxy Tab was one of the first Android devices released post-iPad. With its 7-inch screen, the Galaxy Tab was smaller than the iPad and could be held comfortably in one hand. But this iPad counter-programming feature wasn't enough to give the Galaxy Tab much headway. Its size, however, was an influence on the more successful 7-inch tablets to come such as the Amazon Kindle Fire and Google Nexus 7. The Motorola Xoom, introduced with high expectations at CES 2011, is one of the first Android-based tablets with similar specs to the iPad and the first tablet to run Android 3.1 (Honeycomb). But the iPad had seduced the public by the time the Xoom came out, and the Xoom's bigger display (10.1 inches) was a non-factor. Some instances of buggy software and a high price ($799 unsubsidized on Verizon, $600 for Wi-Fi-only) didn't help. Sensing a tablet groundswell, BlackBerry-maker RIM got in the game with the 7-inch PlayBook in April of 2011, the first device to run BlackBerry Tablet OS. The reaction was mixed at best and RIM has had to cut prices to boost sales. The BlackBerry smartphone has been falling behind sleeker touch-screen phones like the iPhone and Android-based smartphones, and there's a BlackBerry stigma that has hurt the PlayBook. In addition, early PlayBook criticisms such as low pixel density and requiring a connection to a BlackBerry smartphone for native email and calendar apps created lasting negative perceptions. The Cisco Cius was a short-lived, business-oriented, Android tablet that served as a conduit to Cisco's unified communications software. The Cius was announced in June of 2010 and discontinued on May 24, 2012. The 7-inch tablet was a victim of the iPad's accidental popularity at enterprises and the BYOD movement. Cius' demise proved that the iPad had killed the idea of an "enterprise only" tablet. 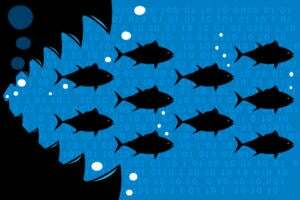 Cisco learned the important lesson that it is better off providing software that works on different mobile OSes than trying to create an endpoint device of its own. Amazon realized it couldn't survive the media consumption magic of the iPad with just a Kindle e-reader. Hence the Kindle Fire, a 7-inch touchscreen tablet with Web connectivity and access to all the content in the Amazon Appstore. The Kindle Fire first debuted in Sept. 2011 and Amazon released a new version in Sept. 2012, the Kindle Fire HD, available in 7- and 8.9-inch models. The device runs its own version of Google Android and has been making money on the digital content in the Appstore more than the hardware. It's a risk that has so far paid off. Nook is a touchscreen tablet sold by Barnes & Noble that expands on the Nook e-reader to compete with other 7-inch tablets such as the Kindle Fire and the Google Nexus 7. Like the Kindle Fire, the Nook runs on its own customized version of Android and its own customized Nook Store for apps and content. It is priced about the same as the Kindle Fire and it's worth noting that Barnes & Noble is scheduled to release new Nooks next month in the same vein as the new Kindle Fire HD devices (7-inch and 9-inch models). Google joined the 7-inch tablet fray in June of 2012 with the Nexus 7, a touchscreen tablet that takes full advantage of the Android OS and the Google Play app store for apps, movies, TV shows and music. The tablet, designed by Google in conjunction with Asus, has been well-received by critics and poses a major threat to the Kindle Fire in the smaller tablet category. 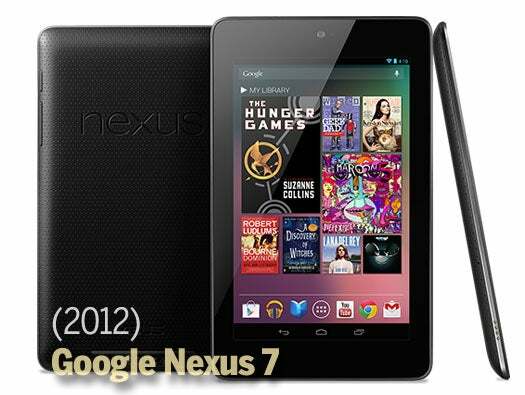 However, after a flashy launch in June the Nexus 7 has been surprisingly quiet. Windows 8 is not available yet (it will launch on Oct. 26), but the buzz has reached a fever pitch because THIS is the Windows that will finally work on touch-screen tablets (both x86 and ARM processors). Hardware makers such as Lenovo, Samsung and Asus have Windows 8 tablets in the works and Microsoft has also taken matters into its own hands with Surface, a Microsoft-branded Windows 8 tablet. The tablets will feature the new Windows 8 tile-based user interface, run full versions of Office and will be the size of iPads or even bigger. No 7-inch weenies here. Will Apple enter the 7-inch tablet race? There is no official release date yet, but it is assumed Apple will come out with a smaller, cheaper version of the iPad to compete with the uprising of the Kindle Fire, Google Nexus 7 and Barnes & Noble Nook. Rumor has it an announcement could happen this month, a move that will no doubt change the dynamics of the constantly-evolving tablet market.